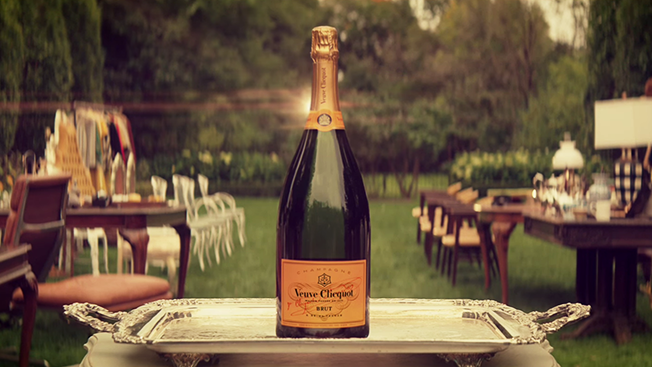 Veuve Clicquot was a pioneer in many respects, being the first woman to ever manage a Champagne house. Her status as "Veuve" or widow, gave her the rights and privileges a married woman of her era would not have enjoyed. She brought the celebrated drink and the town of Reims to the world market, and also created a company that was both creative and humanistic in its practices. To visit the caves in Reims, you must make an appointment, receive a confirmation email, and respond to the email before you are granted access. The visit lasts about an hour, costs 25 Euros ($30 USD) and includes a glass of the Brut Yellow Label. I requested a time two weeks in advance and got my confirmation three days later through Veuve Clicquot. There is a parking lot if you are driving, and a bus line stops directly in front of the property if you come by public transit. There is a spacious waiting area upstairs next to the gift shop which has pictures of the caves and a video of the company, giving you an overview of the tour. 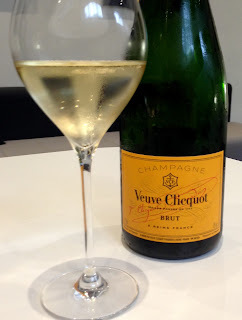 Luckily our group only had 5 guests and one of us had limited mobility, so we had the luxurious use of an elevator along with our excellent enthusiastic guide who loved her job and superbly shared the history of Veuve Clicquot. Tours are offered in several languages and can include several types of tastings, as well as private tours, so pick one which suits your taste and budget. There are over 27 kilometers (16 miles) of caves, so our tour only covered a small portion of the extensive underground network. During the wars, many people lived in the caves and there were designated areas for arms as well as medical care. One of the things Madame Clicquot did was honor long time workers with plaques in the craters with their names, dates of service, and jobs. Monsieur Raguet worked for the company for 57 years! Everything is labeled and organized. One of the inventions of madame Clicquot was the riddling rack, which was originally just a door with holes drilled into it! Today it's all mechanized, but the bigger bottles are still riddled by hand, allowing the yeast to settle to the neck by slowly turning the bottle upside down in precise movements. 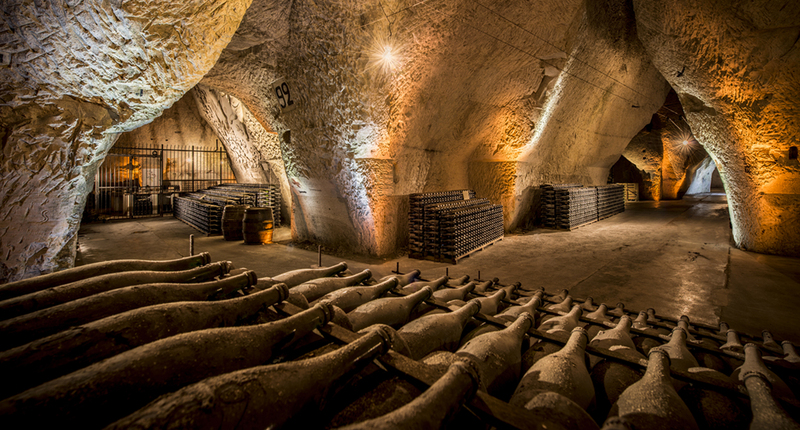 The oldest bottle of Veuve Clicquot (1893) is kept in a special secured vault and is probably the most priceless bottle in the world. It's under the red light in the middle. Not every year produces a Millésime, or vintage year, but the ones at Veuve Clicquot are each marked on the stairs out of the cave.